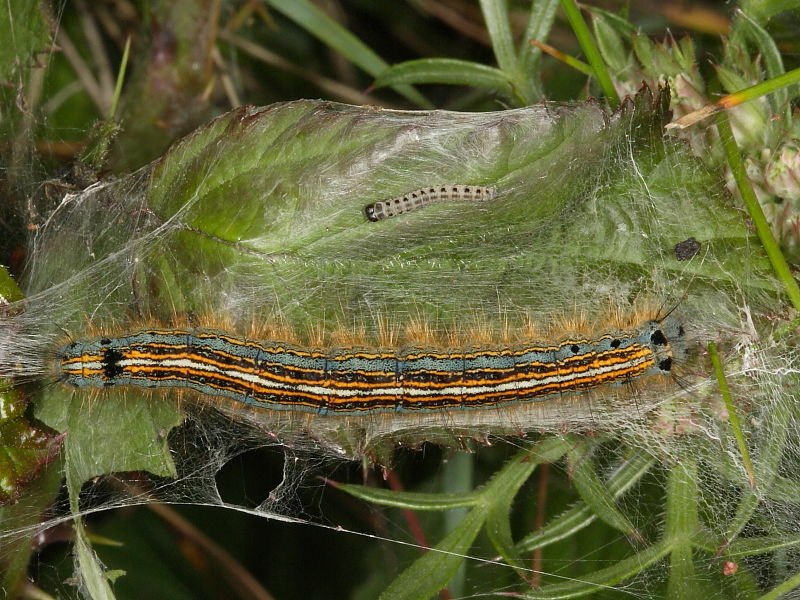 During a search for Lackey moth webs at Penhale Sands we came across three small webs containing hundreds of tiny caterpillars. Should this be the case then over the next few weeks these bushes and any vegetation nearby may become covered in webs. 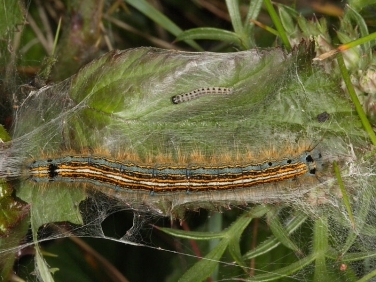 As reported in past sightings some of the webs that these moth caterpillars spin can create an extraordinarily supernatural spectacle. 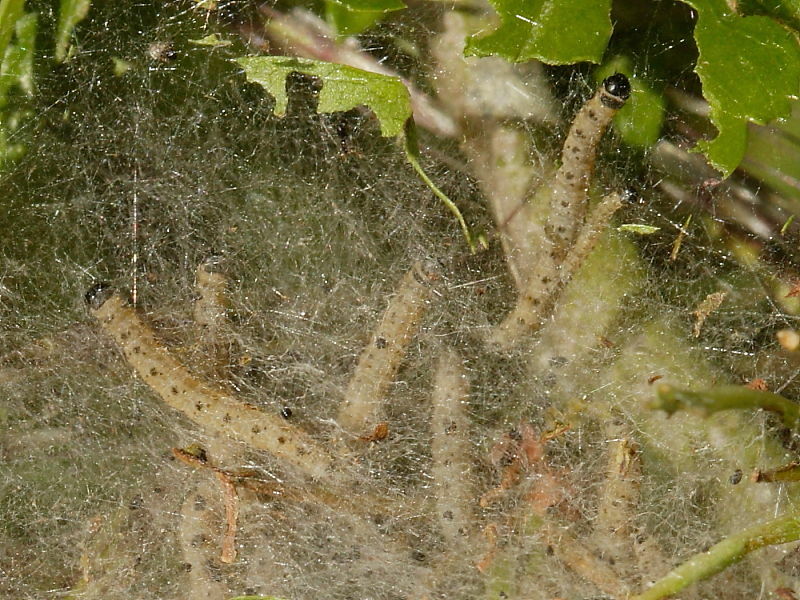 Any plant or shrub in their path will be covered in a fine web. Even fully grown Lackey caterpillars such as the one shown right may become part of the web if stationary for long enough.